There’s some pretty new ferrules on the market. 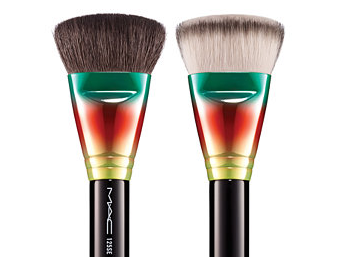 MAC recently launched its “Wash and Dry” brushes, which feature a rainbow ferrule of anodized aluminum. They are very pretty. And different. In addition to their fancy ferrules, they feature an equal split of natural and synthetic fibers. This can be a very useful toe design, when you apply product with the synthetic side and blend with the natural hair, which typically has a more textured surface structure. I’m a little stumped about why this collection over at MAC is branded “Wash and Dry.” The marketing materials say something about a laundromat, good clean fun and full spin. Um, okay. That’s something of an image, I guess. … But they do feel sort of tie-died, so we’re going to go with that. Anodizing, according to these guys, is an electrochemical process that converts the metal surface into a decorative, durable, corrosion-resistant, anodic oxide finish. So, yeah, you read that right: the anodizing actually helps protect the aluminum. Usually, anondizing is done so that the resulting ferrule is all one color, but these are done up in a rainbow. It’s not just the brushes in this collection, either, but all the aluminum casing on the makeup, too. Over at Nordstrom, the dense face brush (shown at the very top of this post) is already sold out. 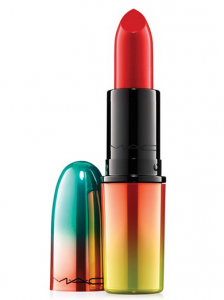 Although you can still fetch it at Macy’s for $38.50. 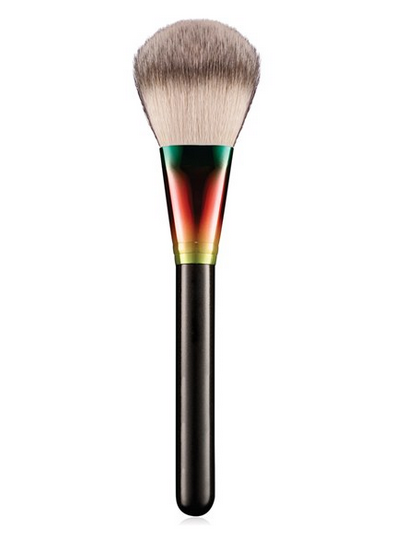 At Nordstrom, the only brush they have left in the collection is the MAC “Wash & Dry” 126 Split Fibre Large Face Brush for $46. Shown below here.